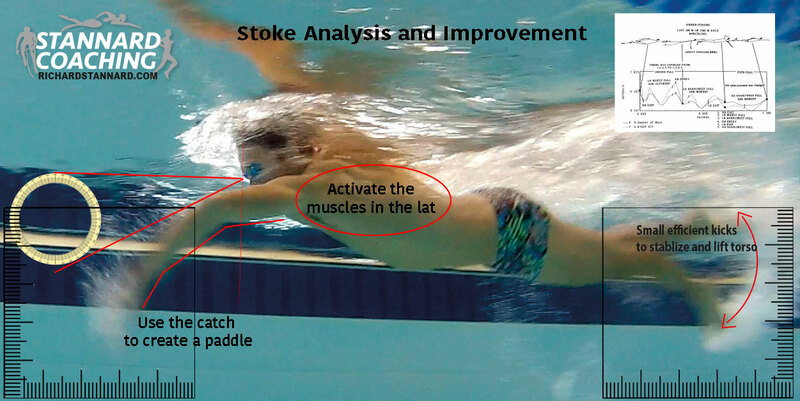 1-2-1 Stroke correction and video analysis. Join one of the world’s best open water swimmers in triathlon for coaching in triathlon’s most technical discipline. Olympic coach and seven time world champion, Richard Stannard can offer you exclusive tuition in the art of front crawl swimming. Depending on your needs, Richard can coach you one-to-one or in group sessions, helping you to improve your technique making your stroke more efficient, faster and smoother through the water. Richard uses high definition cameras to help analysis and feedback information on how you are performing. He then shows you how to improve using simple drills and techniques, plus explains how to use psychology to shrink the learning curve and make the changes habit in less time. Richard uses several venues in the Berkshire area for his tuition, if you are interested in a stroke improvement and video analysis session please call on 07511 501312. If your club or team would like Richard to come along to your venue and deliver a front crawl clinic then please get in touch. Email: info@triathlontrainingcentre.com or call on 07511 501312.